Hello Neighbors are not available but we found a great new smoke filter though: The What Smell? Smoke Filter! Made in the USA and uses natural Coconut Shell Carbon and Essential Oils! 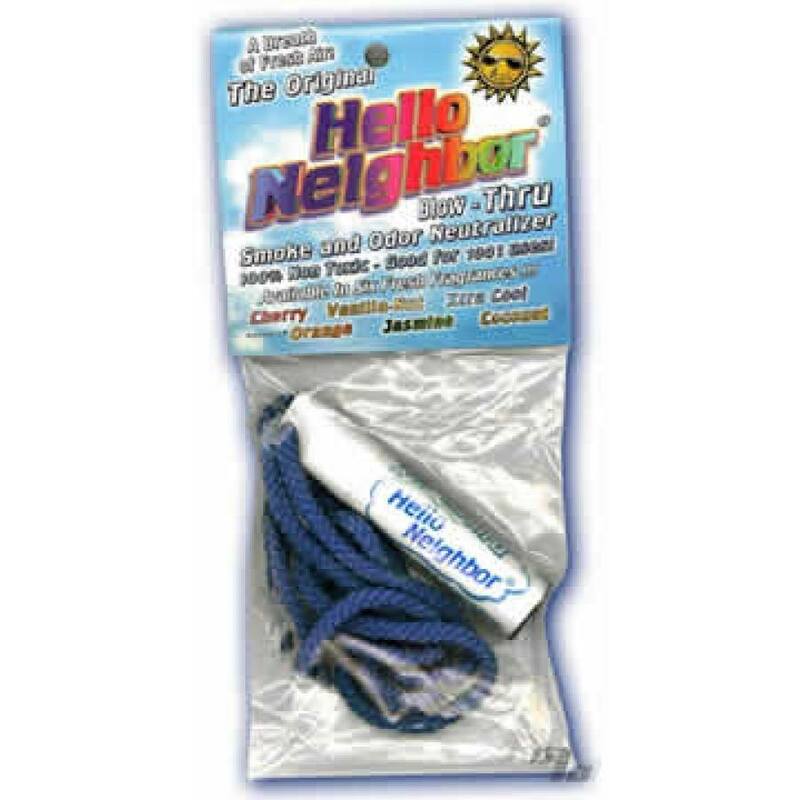 The Hello Neighbor was the original portable blow through air refreshing system. It may sound too good to be true but the Hello Neighbor smoke and odor neutralizer can completely mask tobacco and other offensive odors anywhere; indoor or out. Cigars, cigarettes, pipes, whatever you smoke, wherever you smoke it, Hello Neighbor discreetly removes those odors fast without messy sprays. Hello Neighbor is CFC free, 100% non-toxic and simple to use. Just remove the Cap, blow smoke exhale through the pocket friendly tube and the air smells like one of 6 fresh scents! Looks like lip balm in your purse or pocket. Works great anywhere you have nosy neighbors or cheap buddies. If you want a special combination of scents when ordering more than one, can either add one at a time or just specify preferences on the order form under "Special Instructions". Please note that this Hello Neighbor does not include early access to the Hello Neighbor Steam game and will not be available on your Xbox One or PC. I always travel with these, especially when I'm staying in hotels. They're about 80-90% effective at cutting down on the smell of anything blown through them, replacing it with whatever fragrance they're filled with. My favorite is always jasmine because whatever skunk is left can easily pass as a part of the floral "perfume". This little thing is so cool.....it really works, there is ZERO odor (besides the scent you chose) when you exhale into it. Paired with the Sneak A Smoke, you can pretty much smoke where you want! It's been a life saver. Use it in many different places.